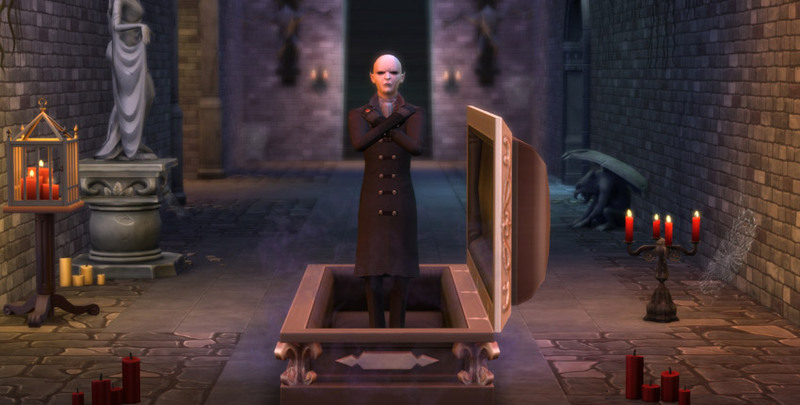 Transform your Sims into powerful vampires and live for eternity in an eerie new destination with The Sims 4 Vampires. 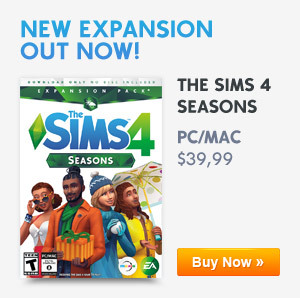 Unlock unique Powers that give your Sims supernatural abilities. You can even travel and woohoo as Bats! The place to go for Sims who don’t like to be in the sun very often. Collect new ingredients for gruesome new recipes. 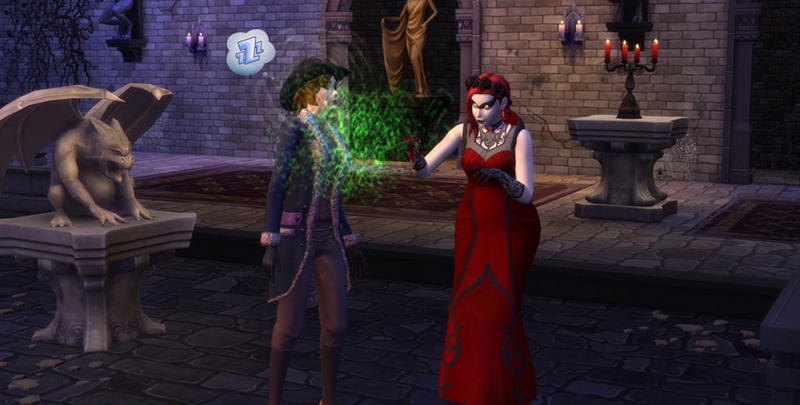 With all-new Create A Sim options, create vampire Sims that are alluring or frightening. 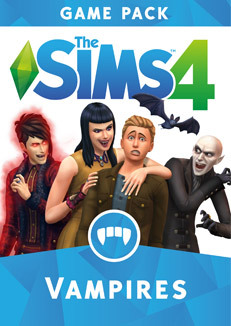 Choose their fangs, add mysterious glowing eyes, and even customize a unique Dark Form to transform into when enraged or spooking other Sims. 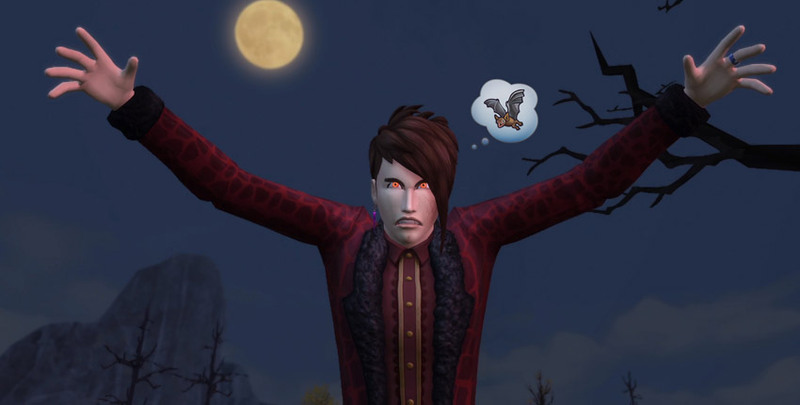 Earn and wield dozens of unique Powers that give vampires the ability to control Sims’ minds and conjure spiritual energy. Balance your skills by taking on weaknesses and unlock new Powers by winning epic duels to advance your rank. The dark, mist-covered land of Forgotten Hollow, is the perfect place for vampires to socialize and let loose. Visit the abandoned mansion to discover its secrets, collect ingredients for gruesome new recipes, or move in and build your own lair. Experience the life of a vampire and choose how to live. Will you drink from Sims or eat Plasmafruit to quench your thirst? Embrace evil and stir up trouble or blend in and start a vampire family? Whatever you choose, always avoid sunlight and garlic foods. Hey there! I have a question about this game pack. 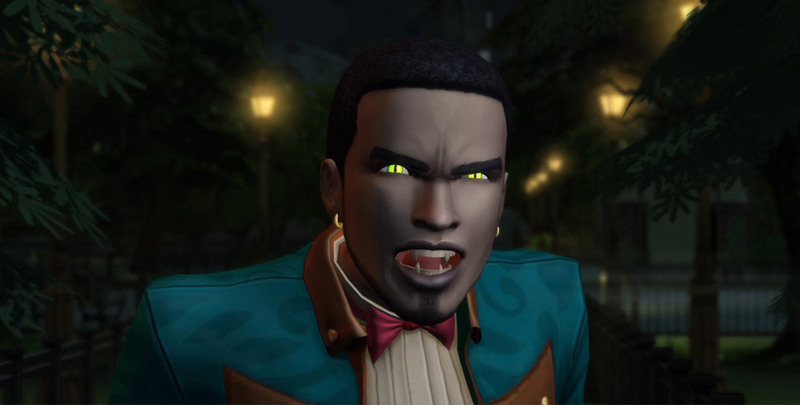 I really don’t care about vampires, but I like the new build and buy mode items and different hairstyles and clothes, so my question is that if I were to purchase this one, would vampires appear in different worlds too than the new world from this pack? Or is it possible to somehow de-activate them? Thanks for answering! No, vampires will only exist in Forgotten Hollow. You can use cheats to kill them, or just don’t go into the town. You don’t have to be there in order to use the items.